The seasonally adjusted homeownership rate, according to Census Bureau’s quarterly survey, was 64.3% in the third quarter of 2014, down from the prior quarter and the reading from one year ago. 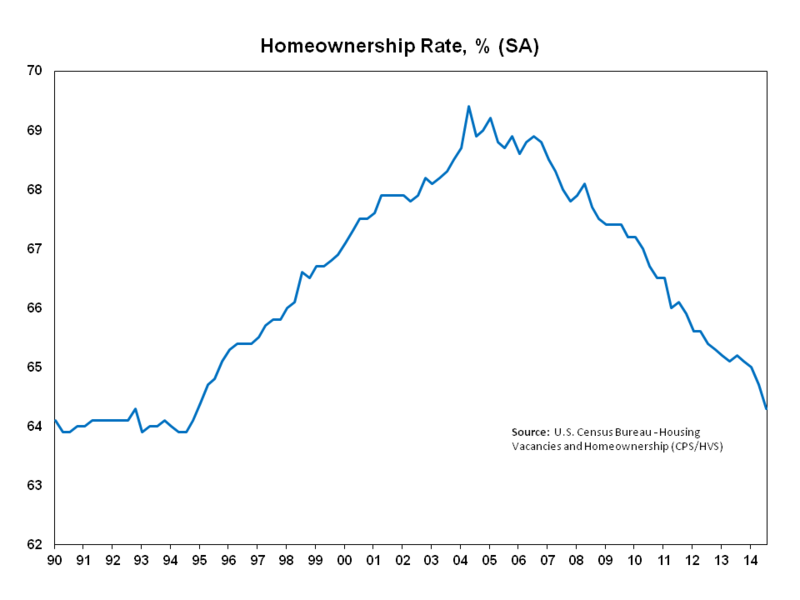 The homeownership rate remains below the historical 20-year average of 66.9% and has not been this low since the fourth quarter of 1994 when the homeownership rate was 64.1%. The steady decline in the homeownership rate is partially the result of tight lending conditions and a historically low share of first-time buyers. The current first-time buyer share for existing homes is 29% and remains well below the historical average of 40%. For those choosing not to buy, rising rents and tight supply persists. 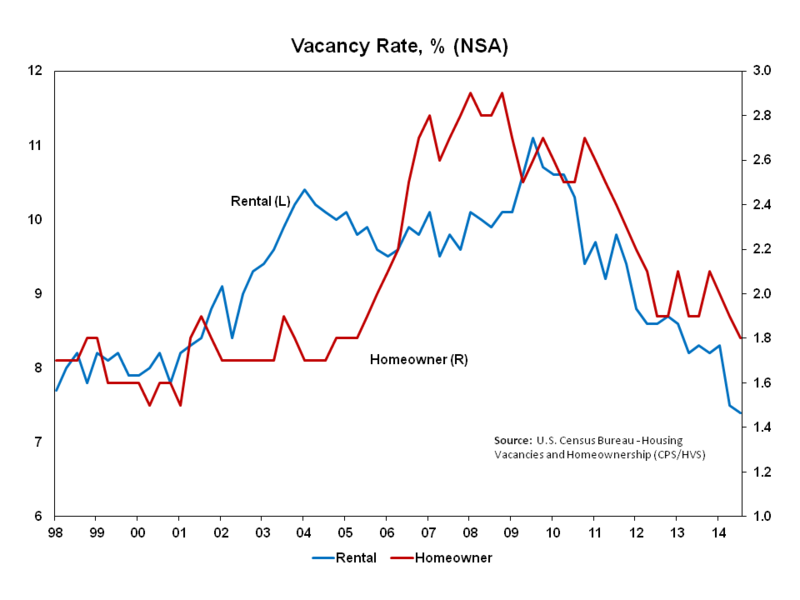 The rental vacancy rate decreased 10 basis points to 7.4% in the third quarter of 2014. The current reading is 90 basis points below the third quarter of 2013. The rental vacancy rate has not been this low since the first quarter of 1995. The homeowner vacancy rate also decreased in the third quarter of 2014. The current reading is 10 basis points below last quarter and 10 basis points below the third quarter of 2013. The current reading for the homeowner vacancy rate is 1.8%.